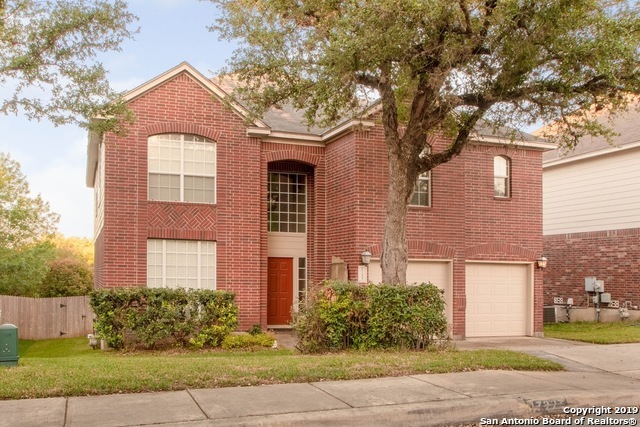 All REDLAND ESTATES homes currently listed for sale in San Antonio as of 04/22/2019 are shown below. You can change the search criteria at any time by pressing the 'Change Search' button below. "Gorgeous 5 bedroom 3 full bath home in gated community minutes from elementary school, 1604 awaits. Cul-de-sac road minimizes traffic, small quiet community. Spacious kitchen with granite counters, tile backsplash, 42in counters, undermount sink, and breakfast bar. Huge living room with tile fireplace, laminate floors. Back yard is an entertainment dream with large deck, playscape, and no back yard neighbors. Sizable secondary bedrooms, upstairs living area, sprinkler system, ready for new "
"Amazing home in gated,much desired Redland Estates. 4 bedrooms, 3 full baths, office/dining with French doors & large gameroom. Secondary bedroom with access to full bath is downstairs for your guests. Granite in kitchen, SS appliances, gas cooking, recessed lighting, crown molding. Huge deck looks out into the trees, greenbelt. 6X12 master closet. New roof in 2018, water softener 1 year old, heated & cooled garage. Access to Mud Creek through back gate. Sprinkler system. Excellent location, NE"